Last month a group of well-known labels targeted Spinrilla, a popular hip-hop mixtape site and accompanying app with millions of users. The coalition of record labels including Sony Music, Warner Bros. Records, and Universal Music Group, filed a lawsuit against Spinrilla accusing it of alleged copyright infringements. “Spinrilla specializes in ripping off music creators by offering thousands of unlicensed sound recordings for free,” the RIAA commented at the time. While the allegations in the complaint are serious, Spinrilla disagrees that they’ve done anything wrong. In its answer filed in a Georgia federal court this week, the company explains that it goes to great lengths to prevent copyright infringements on its service. “Plaintiffs and Defendants have been cooperating for years in a variety of ways to successfully prevent and remove unauthorized music from Spinrilla.com,” the response reads. Among other things, Spinrilla says it used filtering technology provided by Audible Magic. The audio fingerprinting tool is one of the preferred anti-piracy tools of the music industry. According to the defendant, the use of Audible Magic was actually suggested to Spinrilla founder Dylan Copeland by the same record labels that have now taken him to court. The anti-piracy technology also appears to be working correctly, as Spinrilla states that it has prevented thousands of user-uploaded files from being published. In addition, the hip-hop mixtape service notes that the labels, that are now suing, repeatedly reached out to them for promotions. This even happened after the lawsuit was filed last month. 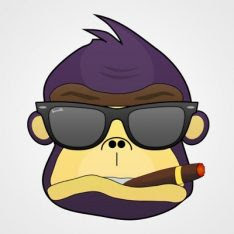 “In fact, both before and after Plaintiffs filed this lawsuit, Plaintiffs’ have requested that Spinrilla host, distribute, and promote Plaintiffs’ music on Spinrilla’s properties,” the answer reads. The company later adds that much, if not all, of the music the labels pointed out as infringing was promoted at the request of one or more of labels in the lawsuit. In other words, there’s a suggestion that the labels asked for it to be shared. In conclusion, the hip-hop mixtape service asks the court to dismiss the complaint and to compensate it for the legal costs incurred so far. Instead of focusing their efforts on a legal battle, Spinrilla invites the labels to keep their longstanding cooperation intact. To benefit them, but also the many artists and fans who rely on it. “This cooperation can and should continue as it benefits not only the parties to this lawsuit, but more importantly, it benefits independent artists and their millions of fans,” the answer reads. okay i've never even heard of this site as i normally just make my own mix cd's from stuff i download or just stuff i own already. OR stuff i buy as well. but this just makes me laugh that if the record companies were okay with this site and asked them to promote their stuff? why are they suing them ?